On Thursday, September 26 at 7pm, the Kawartha Lakes Public Library is pleased to present local author, R.H. Morrison, in the Meeting Room of the Lindsay branch. For more information about the Autumn Local Author Series pick up a brochure at your local library. If you are an author and interested in taking part in the Local Author Series, please contact Diane Lansdell at 705 324-9411 ext. 1265. Summer at the Library! Get ready and GO! Besides heading to the library for the air conditioning and free Wi-Fi (in Lindsay, Bobcaygeon and Fenelon Falls), sign up for some fun programs! Start your day with stories, songs, crafts and fun! No registration required. Children age 7 and up will enjoy a different craft each week. Table space is limited. Advance registration is required. Join us for stories, activities and crafts based on the TD Summer Reading Club theme “GO”. No registration required. Enjoy stories, songs, activities and crafts. Table space is limited. Advance registration is required. Children wil receive an activity booklet, library passport, and book bag. Record your summer reading in the passport and get stickers! Children can also have their library passport stamped when they visit libraries within Kawartha Lakes. Completed passports will be entered into the summer draw for prizes. Stop in any library branch to register and GO! Children aged 6 – 13 will make a greeting card or interactive Powerpoint presentation. Computer space is limited. Advance registration required. And lots more! So drop by any library branch and get a calendar of events. Visit the library’s website for more information. Loading up and heading out of town for a few days this summer? Start your vacation plans with a trip to the library! –> Borrow a travel guide. Get all the facts on your destination from any of the popular travel guides. If your branch doesn’t have the one you’re looking for, talk to a librarian. The right one can be transferred in for you. –> Plan your route with a map. The library keeps a selection of maps and map books in the reference section. Again, if you don’t see what you’re looking for, talk to a librarian. The right one may be shelved at another branch and can be brought in for you. –> Borrow CDs to listen to in the car. Stop by the Lindsay branch and check out the selection of tunes. –> Borrow DVDs. Check out the wide selection of movies and TV episodes. –> Going hiking? Borrow a pedometer to count your steps! –> Need something for the little kids to do? Borrow a game. The children’s library at the Lindsay branch has several educational games that can be borrowed. –> Borrow a magazine to read in the car or on the plane! –> Don’t forget to borrow a book! In addition to some how-to guides, borrow a good story to read in case your vacation plans are rained out. –> Or maybe you prefer to read ebooks? Load up your device with titles from the library before you go. Kawartha Lakes Public Library invites you to join the Lakeland Storytellers Friday, June 7 at 6:30 P.M. for some old-fashioned story performing. Attendees are encouraged to join in or just listen. Genealogist Lois Magahay chronicles the lives of the 50 men who became Lindsay’s Mayors from 1857-2000 in her book “Mayors of the Town of Lindsay”. Her presentation will be held on Thursday, June 6 at 7 pm. For more information about the Spring Local Author Series pick up a brochure at your local library. If you are interested in taking part in the Fall Local Author Series, please contact Diane Lansdell at 705 324-9411 ext. 1265. On May 23, the Kawartha Lakes Public Library hosted Dorothy Thompson, author of Threads From The Loom Of Time, as part of the Local Author Series. Chief Librarian Linda Kent introduced Thompson to a crowded, eager roomful. Thompson captivated the audience with passages read aloud from her book and photos of her ancestors. Threads From The Loom Of Time is a fictionalized account of the life and times of Thompson’s ancestors. Her book could be considered part of a genre with the freshly-coined term “faction”, meaning fiction based on facts, for Thompson’s book is made up of the stories about her grandparents handed down through the generations. Her story also covers a fair bit of history in Ontario. Ever heard of The Battle of Crysler’s Farm? When Thompson’s Casselman ancestors emigrated to Canada, they owned land along the St. Lawrence. They sold this land to a man named Crysler. Another of Thompson’s ancestors was Elizabeth Ware, who Florence Nightingale helped get a job as a nurse, and who then went on to become the first woman to be named head of a hospital. At the age of 52 she married Richard Thorton and moved to Muskoka. She always envisioned the land they owned in Muskoka as vacation land. When she got too old to see that dream happen herself, she sold the land to a developer interested in creating a resort. You’ve perhaps heard of it: the Deerhurst Resort. Then there was Thompson’s grandmother, Beatrice, who was stillborn, but her father, a brilliant man who was a doctor, a surgeon, a dentist and many, many other things, wouldn’t give up. Beatrice recovered miraculously, and with a gift of accurate premonitions and a startlingly near-perfect memory. In one such premonition, Beatrice saved her family from fire. These were just a few of the interesting details about Dorothy Thompson’s family. There are many more stories like this in her book, Threads From The Loom Of Time. You can purchase the book at Kent Bookstore, or borrow it from the Kawartha Lakes Public Library. The City of Kawartha Lakes Library presents Dorothy Thompson as part of the Local Author Series on Thursday, May 23 at 7 pm. 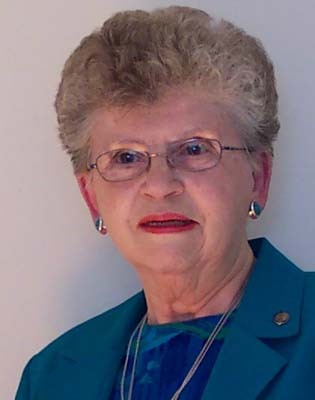 Dorothy Thompson’s book Threads From the Loom of Time is the history of Huntsville, Muskoka, as seen through the eventful lives of two grant land pioneer families from disparate backgrounds. In the early 1860’s, the government of Upper Canada advertised free grant lands in the district of Muskoka and anyone could apply. Two intrepid families, the Casselmans and the Wares, took up the challenge and became neighbours on the twin sister lakes, Fairy and Peninsula. In 1901, their granddaughter, Beatrice Casselman was born with the gift of second sight in the burgeoning pioneer town of Huntsville. She was an eager receptacle for both her paternal and maternal grandfather’s family histories, taking us back to the 1700’s in Germany and the 1800’s in England and Ireland. Beatrice spent a lifetime collecting the stories of the early settlers. Now her daughter has taken the family histories and her mother’s memories of her remarkable life and woven it into a compelling epic celebrating the courage and determination of the people who built the new world. Copies of the book can be ordered from the Kent Bookstore. Last night the City of Kawartha Lakes Public Library (CKLPL) hosted Virginia Winters as part of the Spring session of the Local Authors Series. The evening began with an introduction by Diane Lansdell of the CKLPL, and then Virginia Winters took the stage and spoke about her newest book, how she writes, writing advice, and the book she’s currently working on. Virginia Winters has always had a love for literature, but she began writing in 1998 after being disappointed in the latest offering from a favourite author. She thought she could do better. Though the result was terrible, she’d been bitten by the writing bug and decided to learn to revise and make her story better. The final product was her debut novel, Murderous Roots, published by Write Words, Inc. in 2010. Despite what you may think about authors, or even how other authors might work, Virginia doesn’t sit in front of a keyboard for eight hours a day. She rises early and begins her day with a cup of coffee, the Globe and Mail, Facebook and Twitter. Then, once caught up with reality, she reviews the writing she completed the day before and plunges in. On a good day, she’ll accumulate 1000 words, but when the writing is not flowing, she finds other writing-related tasks: submitting a manuscript, or working on a short story. Though she stops writing at noon to carry on with her daily life, the book is always on her mind no matter the task at hand. She enjoys reading every afternoon, usually mysteries, literary fiction, nonfiction for research and books about writing. Virginia makes a daily commitment to write and in this way has been able to see three novels to publication. While she is happy with her publisher in general, she didn’t feel the covers of her first two novels adequately represented the books, so for her third book in the Dangerous Journeys series, No Motive For Murder, she designed the cover herself. At last night’s event, Virginia read a passage from No Motive for Murder, a book for which she received the following compliment from an audience member: even though the book is part of a series, No Motive For Murder reads well on its own. A reader doesn’t have to read all the books in the series to understand what’s going on in the story. At the moment, Virginia Winters is not working on the next book in the Dangerous Journeys series. Her latest project has an art historian for a protagonist and involves theft, art history and restoration, centring around a painting lost in 1945 in the last days of the War. Visit Virginia Winter’s website and find her on Facebook. The City of Kawartha Lakes Public Library is Now on Facebook! I was very pleased to learn today that the City of Kawartha Lakes Public Library is now on Facebook. The Library spans the entire City with branches in 18 locations, and provides a multitude of services: books, dvds, music cds, audiobooks, eBooks, magazines, electronic databases, local histories, and genealogy resources. 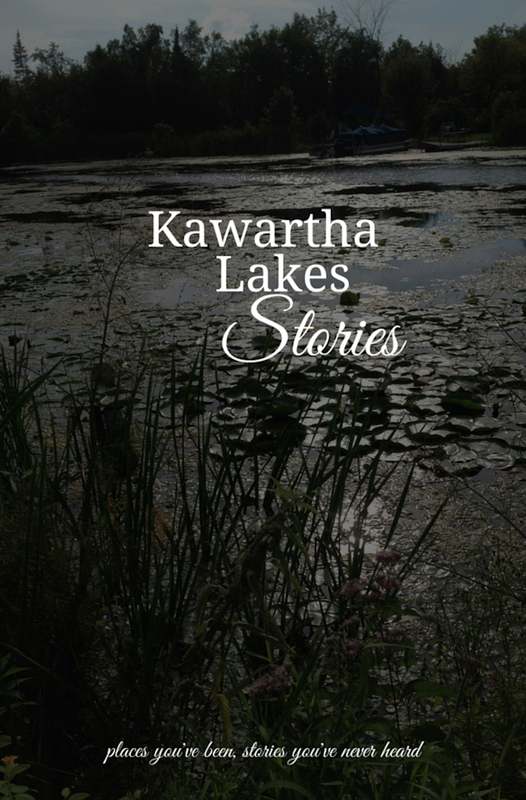 To provide City of Kawartha Lakes residents with excellent public service and impartial access to a wide range of information resources, programs, and services in order to encourage and foster a climate of life-long learning and to enhance leisure activities. Is there a manuscript you wrote years ago still hanging around in the back of your closet? Have you always wanted to write a book, but don’t know where to start? The City of Kawartha Lakes Public Library and writer in residence, Jessica Becking, invites aspiring writers of fiction and creative non-fiction to attend the Writer’s Circle at 6:30 pm in the Meeting Room of the Lindsay Library. The Writer’s Circle has grown to form two groups. Each group meets bi-weekly on Wednesdays to critique each other’s work, participate in writing exercises or learn about an aspect of writing. New members always welcome. Recent graduate of Kingston University’s Creative Writing and Publishing M.A. program and alumni of I.E. Weldon Secondary School, Jessica is a writer of literary fiction. She has studied under many published authors including Kevin Barry and James Miller and has worked with major publishing houses in a variety of capacities. Her short stories and essays can be found both online and in print.